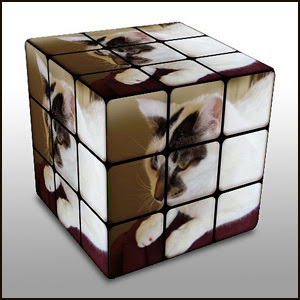 Make your own photo Rubic's cube at dumpr.net. As the saying goes, “No good deed goes unpunished.” Charlotte LaRue knows she should take a broom and chase Joyce Thibodeaux off her front porch. Once married to Charlotte’s tenant Louis Thibodeaux, Joyce is fresh out of detox for her alcoholism and has no place to go. She swears she’s clean and sober and will find her own place in a few days. She pulls on Charlotte’s heartstrings...and soon she’s staying in Charlotte’s guest room. Charlotte survived Hurricane Katrina, but Joyce proves to be an ill wind of a different kind. Soon a valuable gold watch left to Charlotte by her father is missing, and worse, a stranger is watching the house. Charlotte knows she has to show Joyce the door, but she never gets the chance. Instead her beloved parakeet Sweety Boy vanishes, her living room gets trashed, and Joyce ends up in the middle of the mess...stone cold dead. Wash and Die is Book Seven in the Charlotte LaRue Mystery Series by author Barbara Colley. Available now from your favorite bookseller! 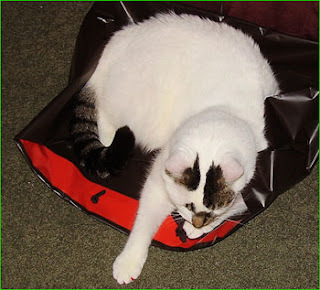 ...is claiming the bag for an afternoon nap! Find more napping cats on this week's Friday Ark. 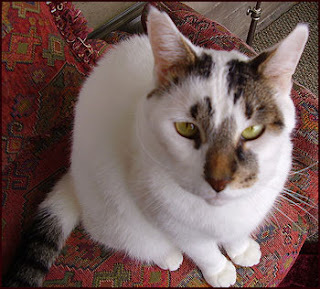 Visit Lori Handeland at her web site for more about the Nightcreature Novels and upcoming books! I don't remember "bookmark" in my job description...do you? 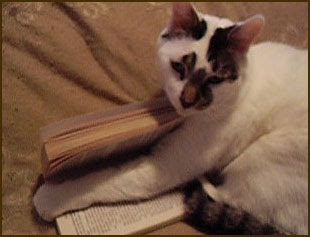 Find more busy cats over at the Friday Ark. The Frasers are back! Bestselling author Ana Leigh continues her stirring series with brother Jed — who's been taming the high seas aboard a China clipper. 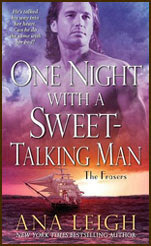 Discover The Frasers series and treat yourself to an excerpt from Jed's story — One Night With a Sweet-Talking Man (a February 2008 release). Visit Ana Leigh. Visit author Mary Paine for more about this book. 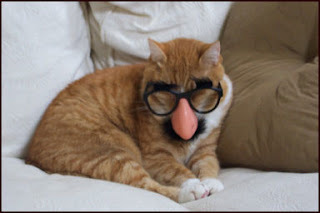 Yes, well, if you lived with 16 Pounds of Sass, you'd put on a disguise once in a while, too. It's the only way to get any rest around here! Visit Max, the sass-monster, and their favorite human over at ErinMcCarthy.net ... and don't forget to hitch a ride on this week's Friday Ark! Visit bestselling author Lori Handeland for more about this book and the Nightcreature series of novels. 2. Learn to prioritize: nap, snack, train human, snack, nap. 3. Never waste a sunbeam (see #2, nap). 4. Visit the Friday Ark. New this week ... 4 must-read books! Happy New Year from all of us at Eclectics! We've got just what you need to start your year off right — four exciting new books, available today, from authors Lori Handeland, Allison Lane, Erin McCarthy, and Mary Paine. Architect John Lascar and duke’s ward Faith Harper are desperately in love but hiding it, for each fears that admitting their love will destroy the other. But when shocking events force them together physically and change their status in the eyes of the world, each uses that love to help the other survive. Gwenna Carrick is a woman with a history—900 years of it. As the vampiress ex-wife of the notorious vampire Roberto Donatelli, she has to keep a low profile. Not easy when she's bathed in the neon glow of Las Vegas—especially when there's a whole on-line group of vampire slayers bent on dealing her last hand. Melissa’s dream has come true with a job at an exclusive Connecticut horse farm that trains Grand Prix show jumpers. She is determined to succeed in this world where vast wealth is coupled with intense ambition.